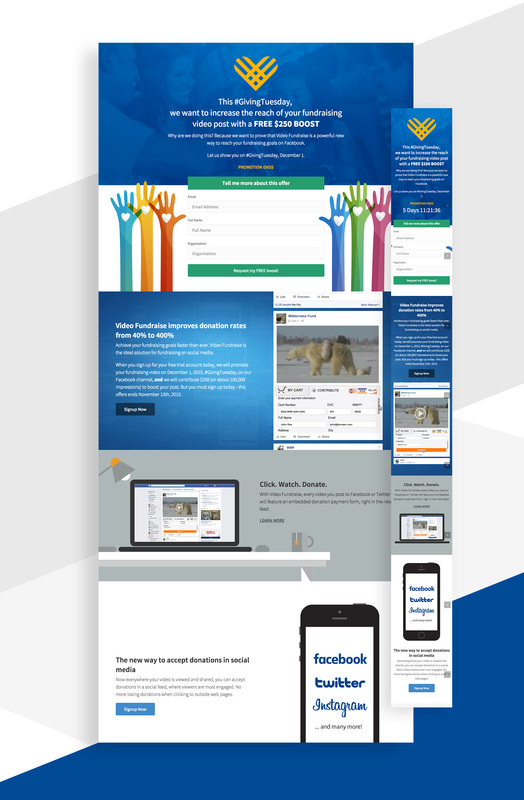 Concept, design, and develop a limited time promotional landing page targeting non-profit organization Facebook users. Test if adding a countdown timer would add a sense of urgency and lead to higher signup conversions. 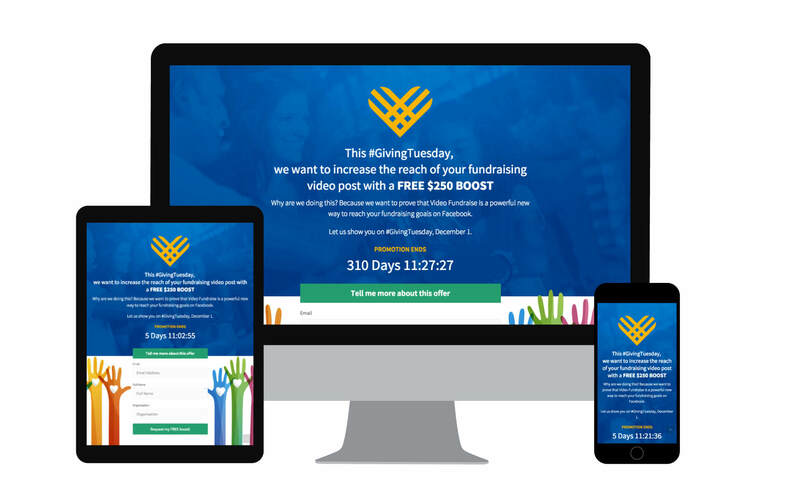 Look and feel must match Giving Tuesday brand and speak to non-profit organizations. Fully responsive landing page since half of the audience uses mobile and tablet devices. Design look and feel with Invision. Display important promotion details in hero area. Show form near the top for immediate conversion. Split A/B using Google Analytics with countdown.